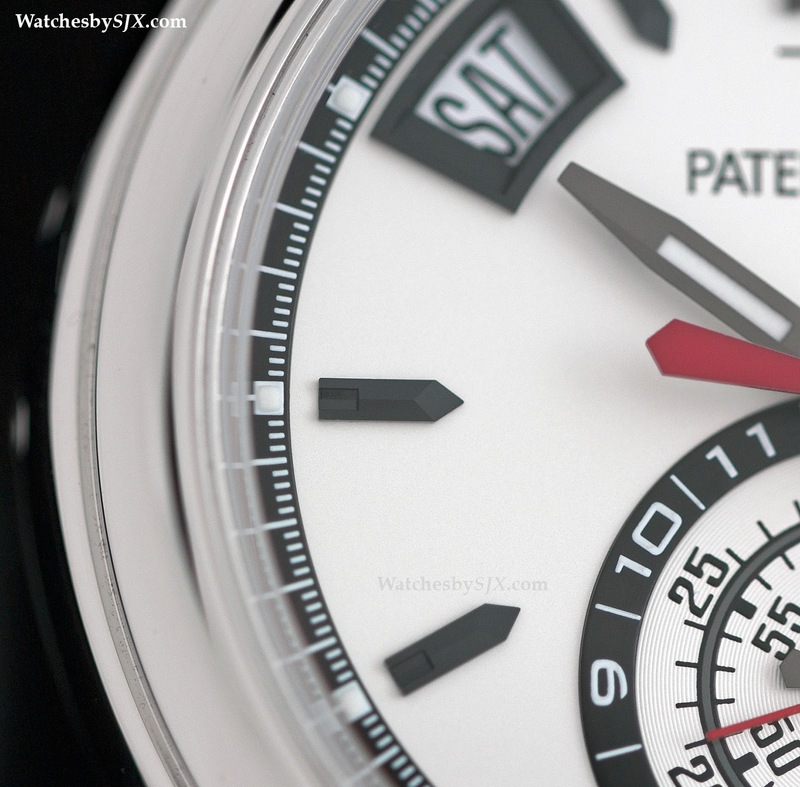 The Nautilus chronograph it is not, but the Patek Philippe Ref. 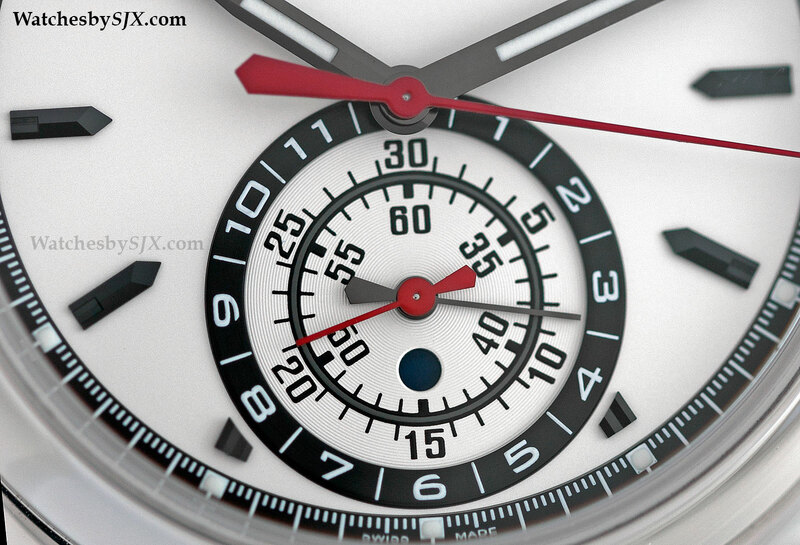 5960/1A comes very close to being a sports chronograph. And it is arguably more practical, combing both a chronograph and legible annual calendar function. Introduced at Baselworld earlier this year, the Ref. 5960/1A is entirely steel, unlike its precious metal predecessors, making this particular complication the most affordable it has ever been. 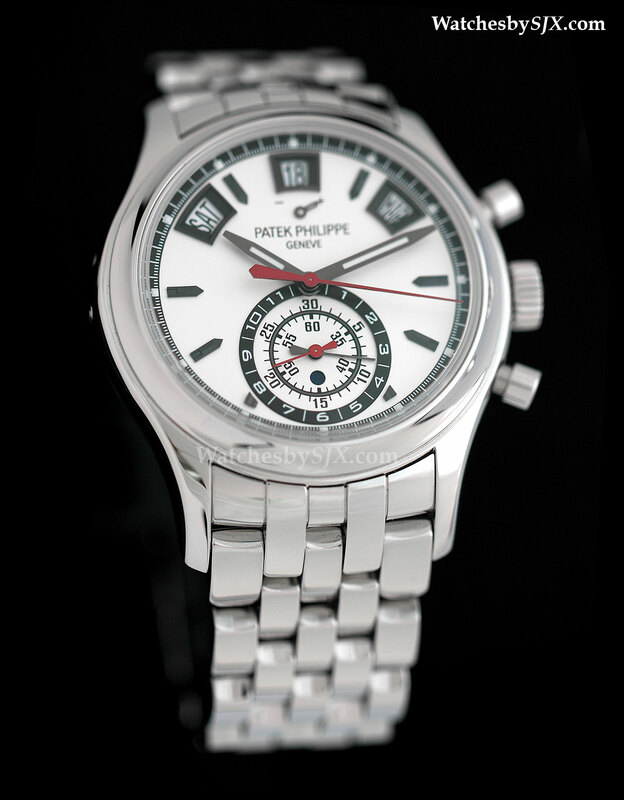 Patek Philippe first introduced its chronograph with annual calendar in platinum back in Baselworld 2006. Since then the model variants have multiplied rapidly, until this year. The precious metal 5960s have been replaced by just one model, the 5960/1A. The suffix “1A” indicates the watch is on a bracelet (hence the “1”), while the “A” refers to acier, French for steel. 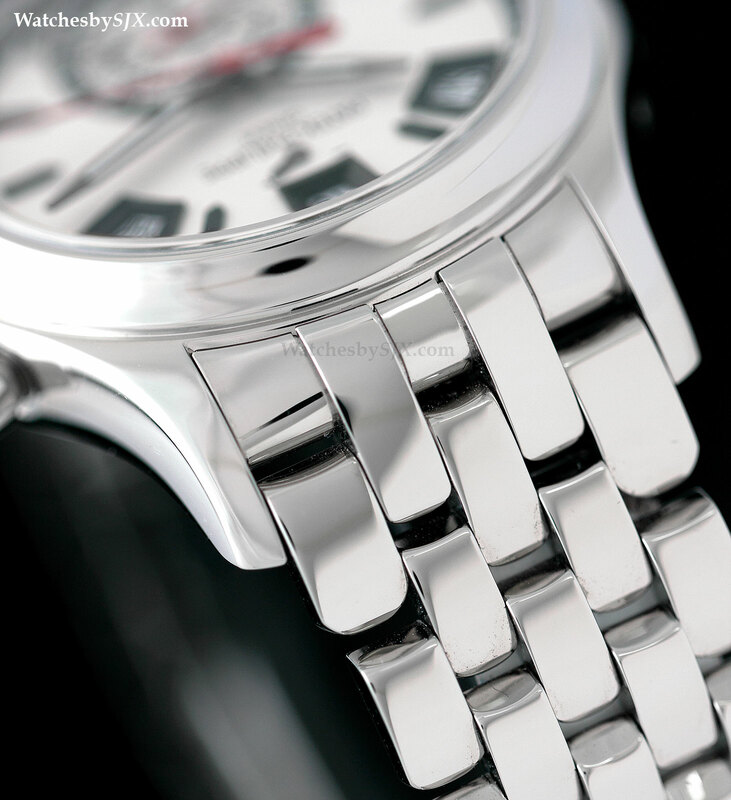 Polished with rounded links, the steel bracelet immediately gives the watch a casual appearance, verging on sporty. At first glance the watch appears too shiny – the entirety of the case and bracelet have a mirror polish – but the look is easy to get used to. The look brings to mind a mid-twentieth century waterproof chronograph on a Gay Freres “beads of rice” bracelet. Though the layout of the dial is exactly as the same as on the precious metal 5960s, the styling goes in an entirely different direction. 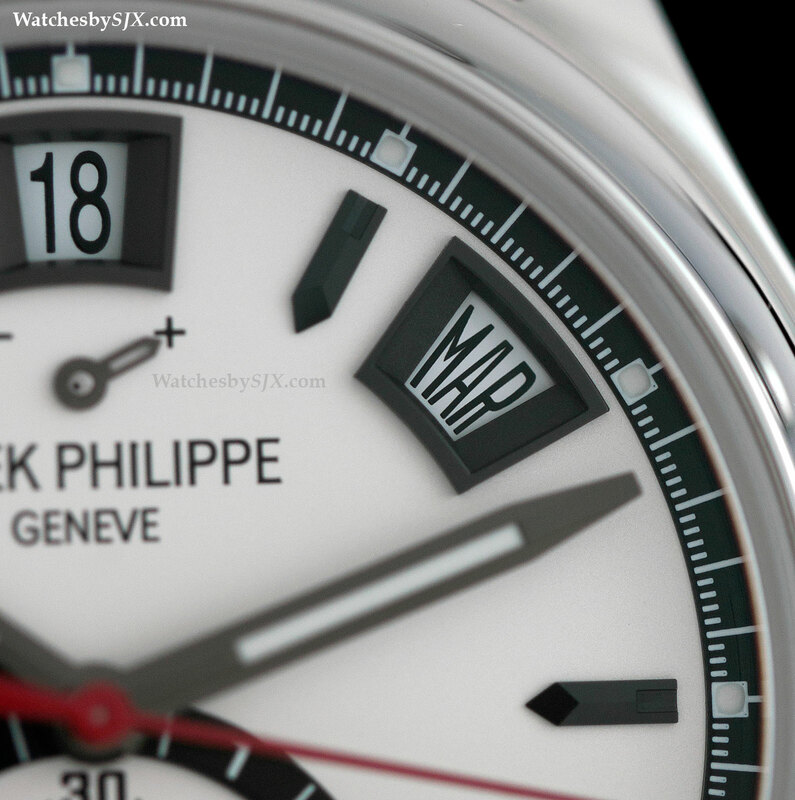 The dial is silver, almost white, with black and red accents. A stark black minute track circles the dial, with large, blackened gold hour indices and wide sword hands. Here the black and white dial works very well, unlike with the Nautilus in white that just looks clumsy. 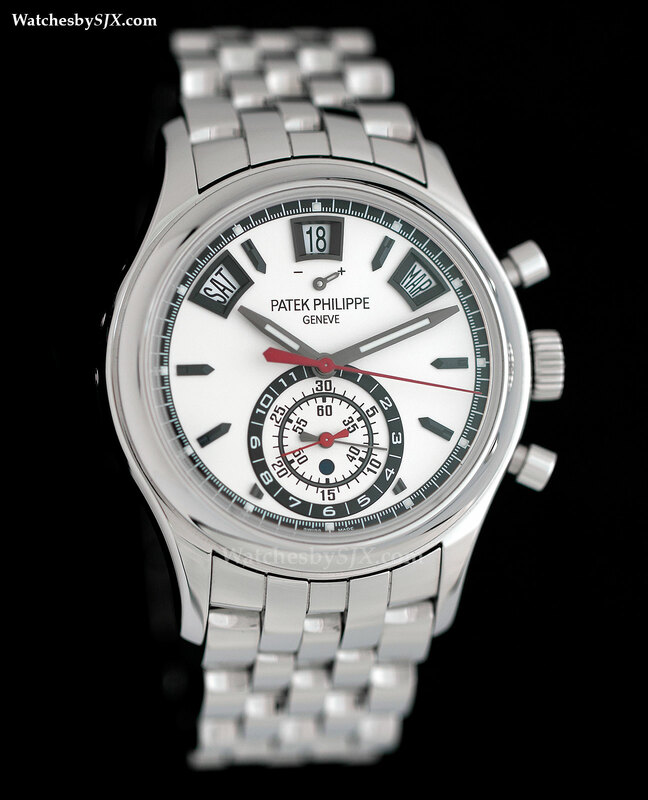 The chronograph registers are concentric at six o’clock, with the hour and minute counters on the same sub-dial. The numerals for each register are large and legible, printed with a serif front. 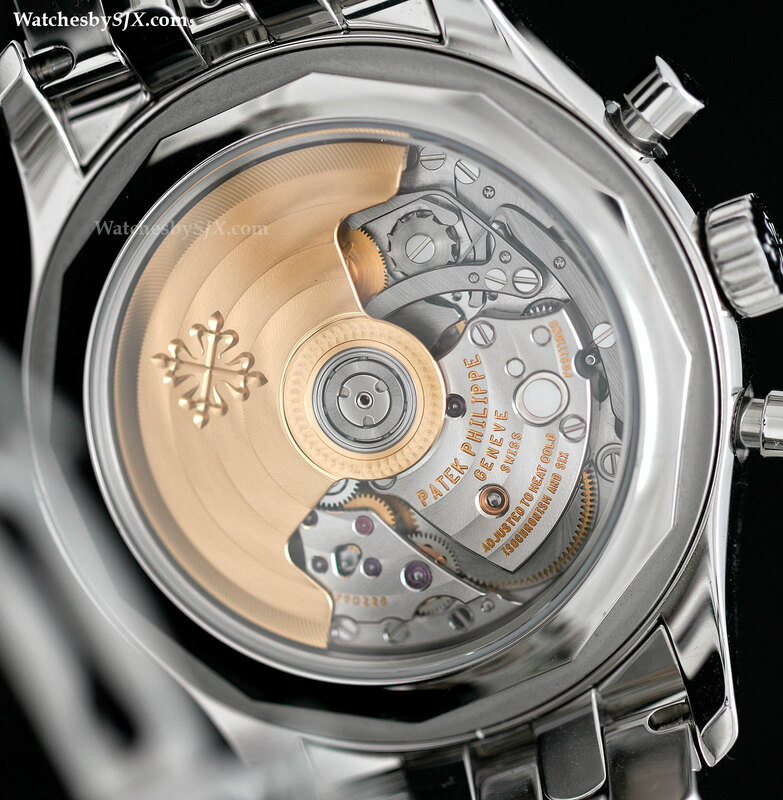 Inside the movement is the same as with previous generations of the 5960, the calibre CH 28-520 IRM QA 24. The CH 28 movement has a clever construction and appreciable finishing, though in its finer details the movement decoration does not seem equal to the price. The 5960/1A is priced at 45,000 Swiss francs or 63,100 Singapore dollars, before any local taxes.